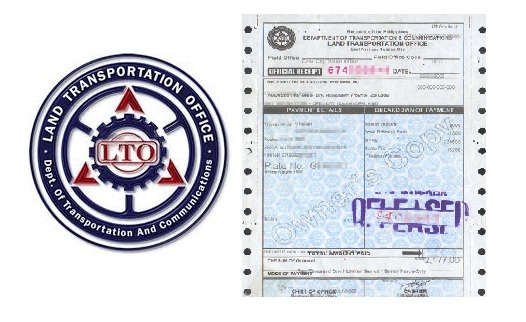 LTO – Suspended The No OR, No CR, No Plate, No Ride Policy! On February 15, 2017, the Land Transportation Office (LTO) released a memorandum that mandates all vehicle owner’s new or old user and as well all the accredited LTO dealership to abide the new law implemented by the government agencies. The law states that all vehicles must have the required requirements before using them on the road. The vehicle owner must always bring a copy of his/her Certificate of Registration (CR), Official Receipt (OR) and temporary plate prescribed with different dealership. Failure to comply will lead to penalty as prescribed in the memorandum, motorized vehicle that failed to comply will be penalized amounting to PHP 10,000 while the dealership will be penalized amounting to PHP 100,000 if vehicle under the dealership name has violated five consecutive times. The public, especially motorists was enraged of the new law imposed by the LTO, where they shared their sentiments and confusement over social media, attacking the credibility and capability of the agency where up to now the problem of issuing Driver’s license card, Vehicle plates and now the releasing of OR/CR is still a major problem of the said agency. The public concern is instead of imposing another law, why fixed first the problem inside LTO? Focusing on how they will be able to give the public's need? Because of this commotion between the public and LTO, Senator Cayetano, conduct a series of hearings together with the LTO officials at the senate and finally headed a solution yesterday February 23, to suspend its 'No Plate, No Travel' policy! The senator also said that LTO’s should consult first the public before they implemented the policy, the huge problem won’t exist if properly handled. No Comment to " LTO – Suspended The No OR, No CR, No Plate, No Ride Policy! "